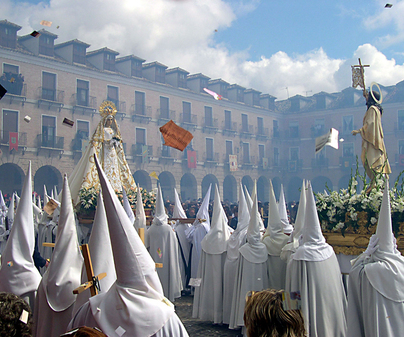 Keeping an order and a silence that have made Ocaña Easter famous, the 10 brotherhoods that help to celebrate it go, on Palm Sunday, to the procession where Comunidad Gitana brotherhood carries the pace. 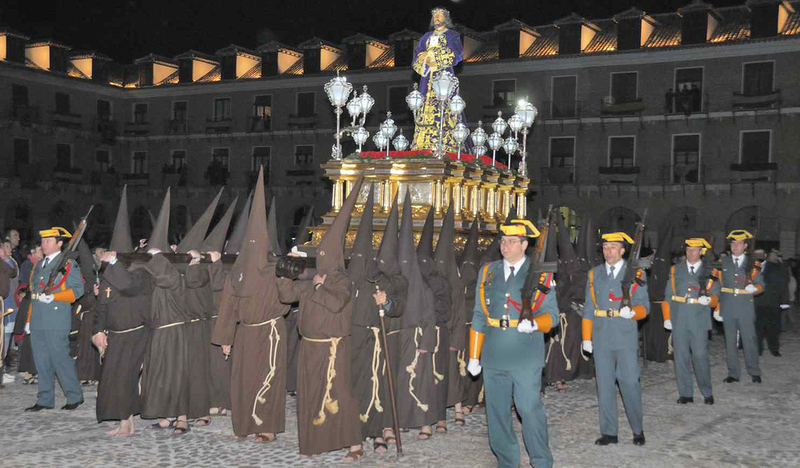 The processions go out one after the other, day after day, being especially intense on Good Friday, when the three Christ falls are depicted, by means of articulated images, among a sepulchral silence. Armados brotherhood is especially notorious then, because of the armor breastplates and helmets they wear. 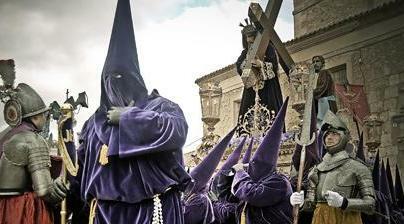 Also the Nazarenes who, keeping a promise, drag chains, barefoot. 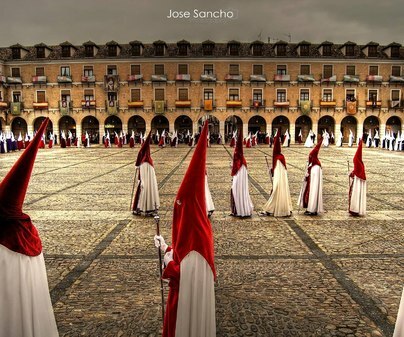 A devotion that in Ocaña dates back to four hundred years back. Movable date. 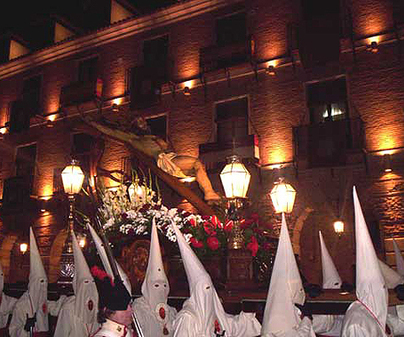 From Palm Sunday to Easter Sunday. 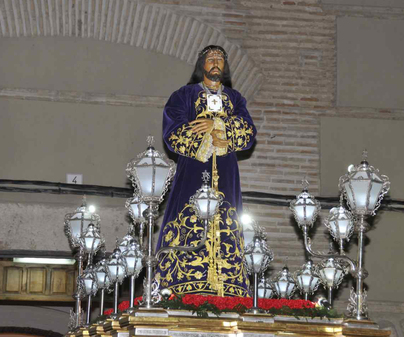 In Ocaña you should take some time to go around the city, the most popular sights and especially the wealth of art its churches treasure, with the images even more visible during these days.